Pictured above is our incredible staff of bartenders and sales associates who help make everything run like a well-oiled machine. Be sure to thank them the next time you are at The Jug, not just for great service, but for putting up with all of our shenanigans every day! Katy is machine that keeps everything running smoothly at The Glass Jug. As our full-time general manager, she oversees all the day-to-day operations, guiding the ordering of beer and wine, planning events, and overseeing our staff of managers and bartenders. Katy is a Certified Beer Server and homebrewer, so she’ll be able to wow you with her beer knowledge if you have any questions about various styles, the brewing process, beer and food pairing, etc. She also oversees our JUGs (Just Us Gals) monthly beer education classes. If you ever have beer suggestions or questions about what is in stock, Katy will have the answer. And, if you have any comments about the store or ideas of how we could make The Glass Jug even better, please share them with Katy. As the Retail Sales Manager at The Glass Jug, Jon works with our network of wholesale distributors and self-distributing breweries to bring in a rotating selection of the best beers available in bottles, cans, and on draft. Jon also works with breweries to line up fun and unique events each week at The Glass Jug, while building relationships and securing limited-release products to make sure we have the best selection in town. Additionally, Jon works on a lot of the little things that make The Glass Jug great, such as special-ordering kegs or package beer for customers, making sure everything is clean and organized, and working closely with Chris and Katy to keep things running smoothly. Chris leads up the beer production/brewing side of the business at The Glass Jug Beer Lab. He manages the ingredient ordering and inventory, recipe formulation, brewing, and packaging, and oversees the cellar staff. 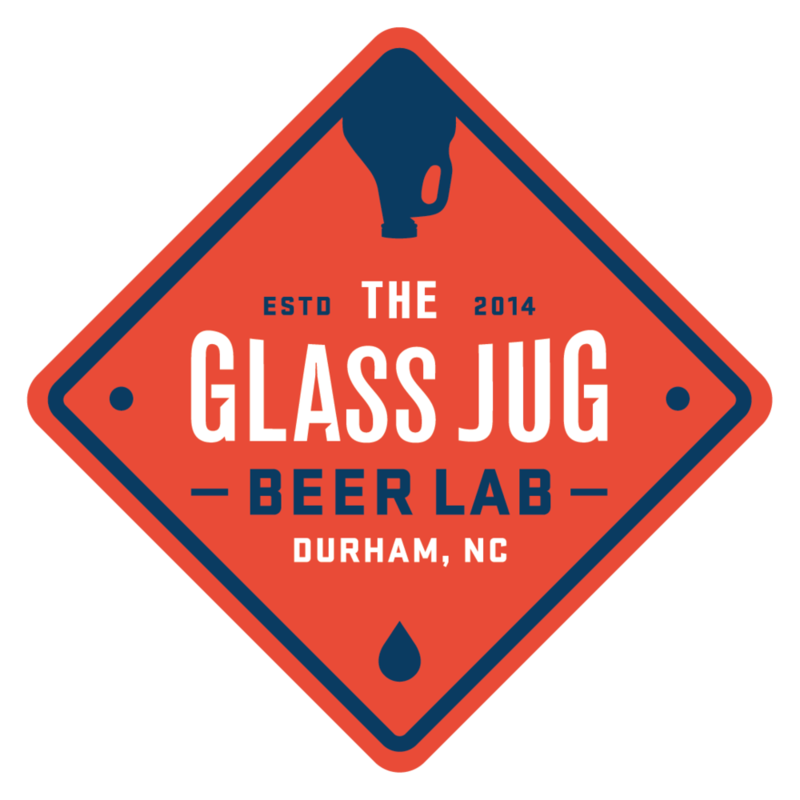 Chris also travels across the state, working and collaborating with other great breweries to plan special events and limited beer releases at The Glass Jug, in addition to collaboration brews and procuring limited-release beers you don't find many other places in the triangle. Our evening shift manager, Jessie, is the glue that holds our team together. She manages our team of bartenders to make sure they have everything they need to be successful and feel appreciated as a part of The Glass Jug family. Jessie also assists with planning some of our bigger events and making sure our staff is prepared to run them as smoothly as possible. In addition to these responsibilities, Jessie also hosts our Beer Lab Trivia twice a month and assists with our JUGs (Just Us Gals) beer education events each month. She also works closely with Chris, Katy, and Jon to make ensure a positive environment for our staff and customers, alike.